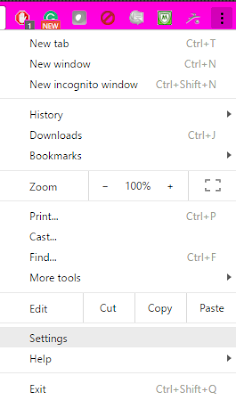 Google Chrome web browser lets us access websites we want to surf the Internet, along with it, it provides us to save passwords to Google Chrome so that whenever we access that website again then there is no need to type the password. Chrome will provide that password. But, sometimes we forget our password. 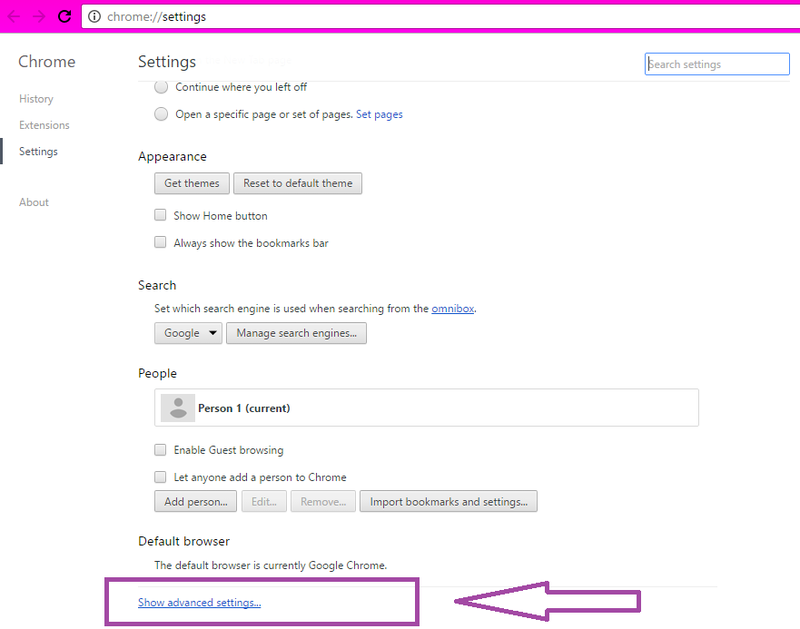 Then, there are two options, one is resetting the password by providing user-id to the website and request for password change and another one is by accessing your Google Chrome web browser. 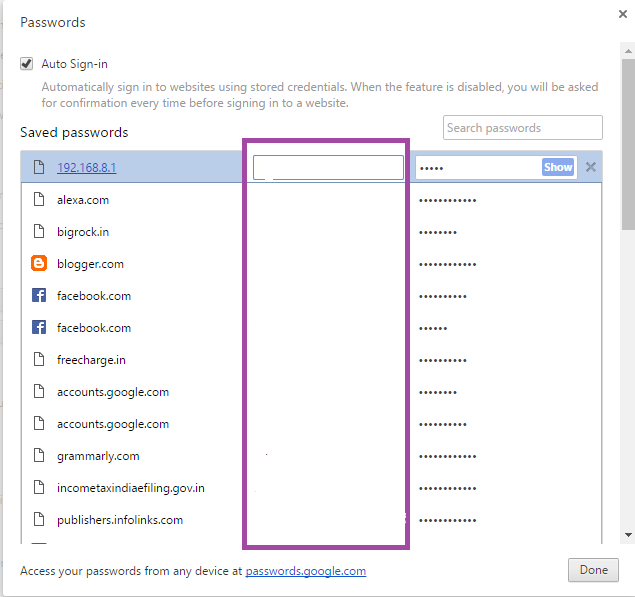 In this post, you will learn how you can view and manage saved password with your Google Chrome web browser. 2. Click on the top right corner of chrome “Customize and control Google Chrome”. 3. Now, click on “Settings”. 4. A new window will open. 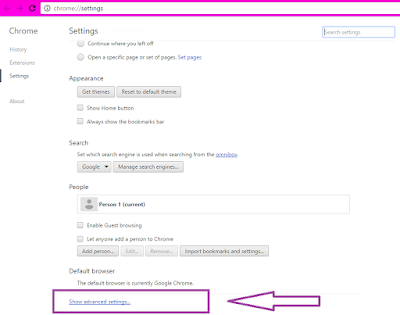 Scroll it down and click on Show advanced settings. 5. Now in Settings again scroll down and stop when you see Passwords and forms. Now click on Manage passwords. 6. A list will open consist of all your passwords saved with Google Chrome. Here passwords are hidden with asterisk marks. 7. Now, click on any account, of which you want to see the password. 8. After that, click on “Show” button. 9. 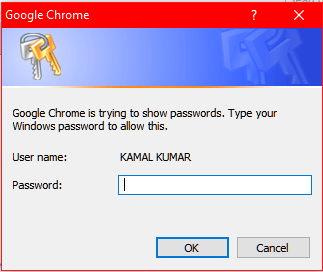 Now, Chrome will ask your Windows login password for security reasons. 10. 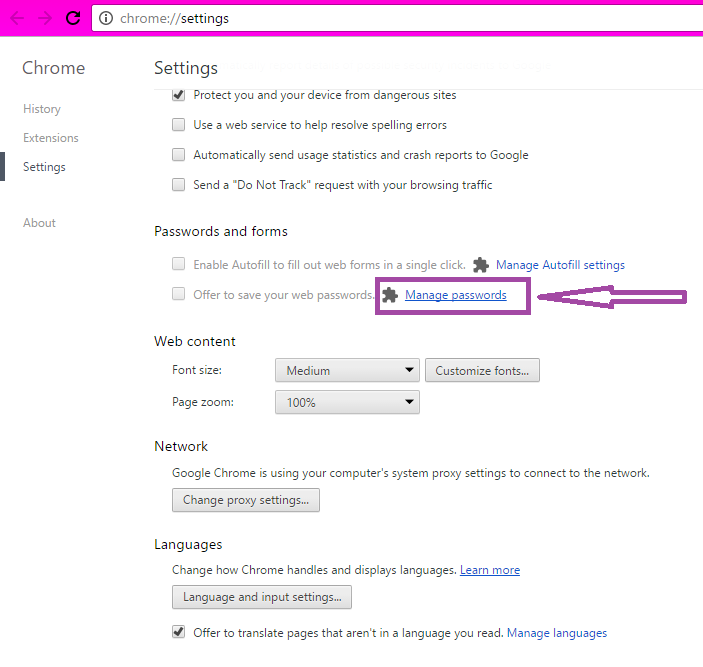 Put your password and press OK. Now you can view your password of your account saved with chrome. 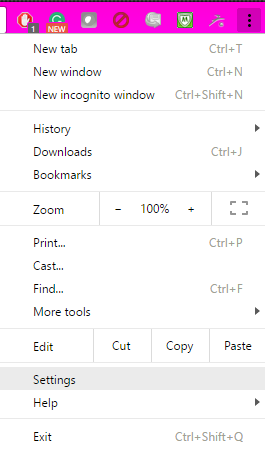 You can manage, view, and delete the saved passwords with Google Chrome. To delete a saved password, select that account and click on X button. Note: Chrome offers to save passwords when you log into an account. And if you select Never for this site, then your password will not be saved. And that will be added to a list of passwords that are never saved. 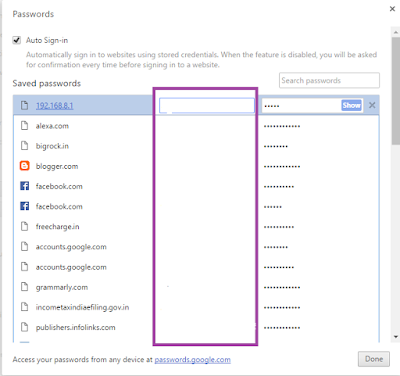 Further, you can sync the passwords to your Google Account. You can access them from another computer also after syncing. For that, you need to sign your Google Account.